The effects of high ascorbic acid or Vitamin C doses on women were first discovered by a Russian scientist in the mid 1990s. Through a research, the scientists discovered that high doses of vitamin C elevated the level of estrogen hormone in ladies. This, in turn, can be used to induce a delayed period or to disrupt a pregnancy and initiate bleeding. During the research, 20 ladies were tested to ascertain the effectiveness of using vitamin C in inducing period. Of the 20 ladies, 16 started bleeding 3 days after the vitamin C dose was administered. Throughout this article, the various aspects of this method will be discussed. Once introduced into the body, vitamin C increases the level of estrogen in ladies. The high estrogen level then triggers uterine contractions, which initiates bleeding. If taken in high doses, ascorbic acid may also induce abortion a few weeks after conception. Progesterone hormone in ladies is important in the development of a pregnancy. After fertilization, the level of progesterone in the bodies of pregnant mothers increases significantly, which will help maintain the pregnancy. If taken in large quantities, vitamin C lowers the level of progesterone in the body. This, in turn, causes the uterine walls to break down and bleeding to start. Here are 6 effective home remedies that can help you to get more vitamin C so as to help introduce your period. The effectiveness of parsley tea may be attributed to its high vitamin C content about 133mg. To prepare a cup of this tea, you should place fresh green parsley into an empty cup until it is a quarter full. You should then fill the cup with boiling water and let the solution to stand for about 5 minutes. Strain the solution and take it 2 to 3 times a day to initiate your period. Fresh cranberry juice is a good source of ascorbic acid of high concentration. For this method, you should opt for fresh juice, rather than the commercial juice because the commercial juice contains a large amount of sweeteners. To make the juice, you should acquire hard, bright red and fresh cranberries, wash them thoroughly and use a juicer to crush them. You may add some apple juice into it to combat the tart taste. You should not take more than a liter of the juice as it can lead to side effects. Guava is also very rich in ascorbic acid, containing about 228mg of vitamin C per fruit. To use guava vitamin C to induce period, you may eat the fruit or drink its juice. Alternatively, you may also take guava leaf tea of the plant. The main idea behind vitamin C for period is to introduce a large concentration of the vitamin into the body. Citrus fruits, such as lime, oranges, grapefruits and lemons, are good sources of ascorbic acid. 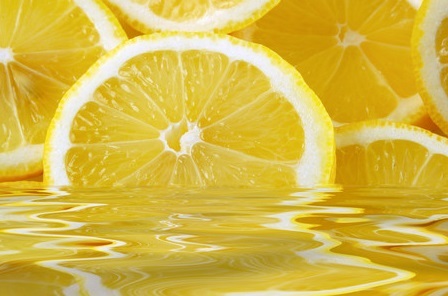 For instance, lemons and oranges contain about 53mg of ascorbic acid per fruit. The citrus fruits may be taken raw or prepared into juice. A glass of orange juice will provide you with about 165% of the required vitamin C dose per day. Certain vegetables, such as tomatoes, broccoli, spinach and tomatoes, are excellent sources of vitamin C. With broccoli; you may eat them raw or steam them. As for tomatoes, you can consume them in various forms, including paste, salad, fresh juice and soup. To introduce the vitamin C in spinach into your body, you should prepare a vegetable salad using raw spinach leaves because boiling damages the vitamin. Other than the plant sources, you may also get vitamin C from animal sources, such as the liver. Animal liver contains a good amount of vitamin C about 36mg of the vitamin per 100 grams of fresh liver. Since this is a considerably low concentration, you may eat these livers with vitamin C rich vegetables. Alternatively, you may also include liver slices into your salad. Vitamin C is not toxic in nature; it is naturally available in various vegetables and animal products, which are commonly consumed by human beings. However, the use of vitamin C in inducing period can lead to an array of side effects in some individuals. As such, it is highly advisable that you consult a physician prior to using vitamin C for period. For instance, increased intake of the vitamin may lead to hemorrhage. Taking more than 500mg of vitamin C on a daily basis can also result in side effects like fatigue, kidney stones and nausea. Additionally, patients suffering from sicklecellanemia may not metabolize the increased ascorbic acid in the body. This predisposes such patients to kidney stones.